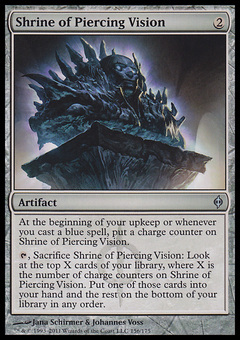 Deceiver Exarch ($0.15) Price History from major stores - New Phyrexia - MTGPrice.com Values for Ebay, Amazon and hobby stores! 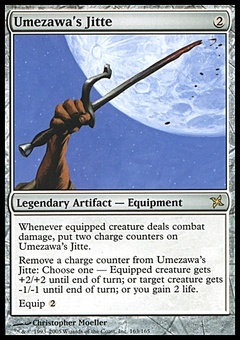 Card Text: Flash (You may cast this spell any time you could cast an instant.) 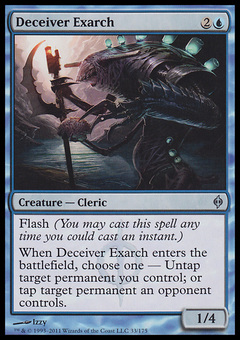 When Deceiver Exarch enters the battlefield, choose one - Untap target permanent you control; or tap target permanent an opponent controls.